Poly Cotton , 100 % cotton and Poly viscose fabrics . Knee Length and Hip length sizes availlable . Half Sleeves / Full Sleeves as per customers choice . 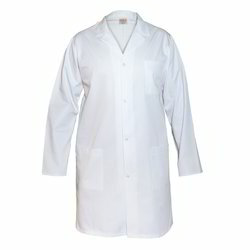 We are offering Lab Coats to our clients.